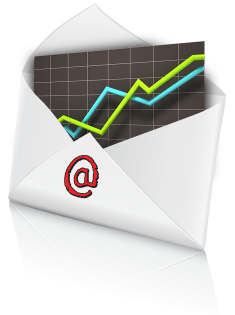 Premium Members received the first peek at a new feature to EzineArticles: Monthly Performance Summary Emails. The summaries will be automatically sent to all Premium Members beginning this month. There is no need to sign up. However, if you do not wish to receive these monthly reports, you can disable them in your EzineArticles.com Membership Account. Change your preference for the Monthly Article Performance Report to ‘No’. Then in late April or early May, we’ll roll out this service to all of our Platinum Members. There are no plans at this time to make it available to Basic or Basic+ Members. HINT: If you’re not already a Platinum Member, now would be a good time to work toward that goal. You’ll be automatically enrolled to receive your Monthly Summary emails as soon as the service becomes available to our Platinum Members! You can view more details about your article performance by logging into your EzineArticles.com Membership Account. This is a great new development as provides another way for authors to monitor their progress and the performance of their articles. And as they say you can’t improve what you don’t measure. As usual I am totally wowed by EzineArticles.. WOW! This is definitely a great tool that will enable us to measure our results. I like the section where it shows our top articles and the top keywords that are related to that top articles. It will enable us to write articles easily. I also like the function where it shows the number of articles that are written that month and the views that we get from that particular month. It can give us a good estimate on how many articles we should submit on a monthly basis. Excellent addition to an excellent site. I am especially glad to get the keyword info. Really–you have good reason to be proud! This site provides valuable information, and excellent web coverage, and I–we–apreciate it. All you had to say was “top keywords used to find” and you had me. This is an excellent tool for us to be able to use. Good move, that`s the kind of information I like. It’s just amazing the incredible value of being a Premium Member. Truly intense indeed.